The Scott Gregory Team at eXp Realty specializes in residential sales and investment properties, and has extensive experience in getting homes sold in a changing market (from regular sales to distressed sales). When you buy or sell with The Scott Gregory Team, you get a full team at your service. They can help you buy or sell property anywhere in America. Local market areas include Pensacola, Navarre, Navarre Beach, Pensacola Beach, Gulf Breeze, Milton, Pace, Fort Walton Beach, Mary Esther, Perdido Key, Cantonment and Destin. Sellers, buyers and referrals are always welcome!! Scott Gregory has been named a top producer every year since 2006. He specializes in residential and investment sales, and is the team leader of The Scott Gregory Team. He specializes in selling homes that previously did not sell, has closed more than 125 short sale transaction sides in recent years, and holds four short sale designations, including Certified Distressed Property Expert (CDPE). He has been full time in real estate since 2000, and holds a degree in communications from University of Illinois Urbana-Champaign. Lisa Gregory is lead buyer specialist of The Scott Gregory Team. She works closely with buyers and sellers to help them with their real-estate needs, which include residential, land and new-construction sales. She has been in real estate since 1996 and has built more than 75 custom homes in the area, including one purchased by a future Masters golf champion. Lisa holds a broker’s license in real estate, a CDPE designation in short sales, and has extensive experience working successfully with banks to get short sales approved. Want to Join Our Team, or Looking for a Career in Real Estate? Pensacola listings last updated Apr 19, 2019 1:13:am. 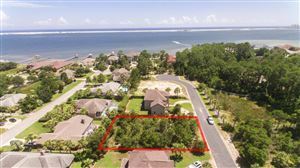 Emerald Coast listings last updated Apr 19, 2019 1:04:am. Navarre listings last updated Apr 19, 2019 1:05:am.